What have I accomplished so far this year? Not much, just killing a lot of stink bugs. Yes, it's true. 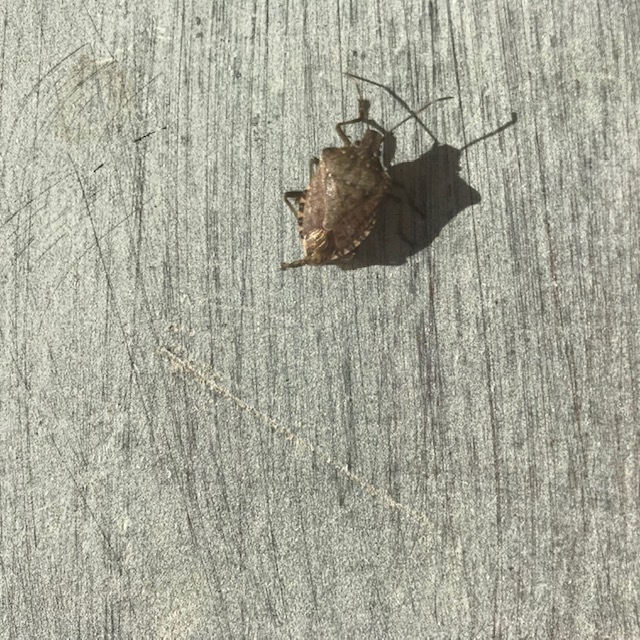 The brown marmorated stink bug is no snow bird. You will find them wintering in my home. All 567,083 million of them. We've survived the polar vortex, a mundane Super Bowl, ice storms and kept entertained watching two seasons of "The Marvelous Mrs. Maisel." Each episode must be viewed multiple times because I am too distracted gaping over the props, wardrobe and music from the fifties and miss the entire storyline. It's that good. Other than that, I haven't accomplished much. But that's okay with me. Isn't winter a time to cocoon, play solitaire, read Southern Living magazines with envy, simmer 13-bean soup, overeat mounds of pasta, go braless and forget to shower? 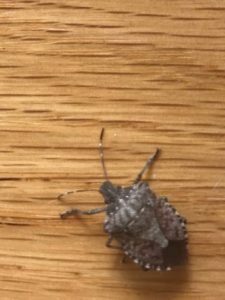 To amuse myself, and out of necessity, I've become a hunter and killer of stink bugs crawling all over the west, sunny side in our home. They are disgusting. Native to China, Japan, Korea and Taiwan, these 3/4" oval-shaped pests arrived in the United States in 1996 by way of shipping containers. Illinois didn't document any sightings until 2009. Our massive soybean crop must have been their calling card. 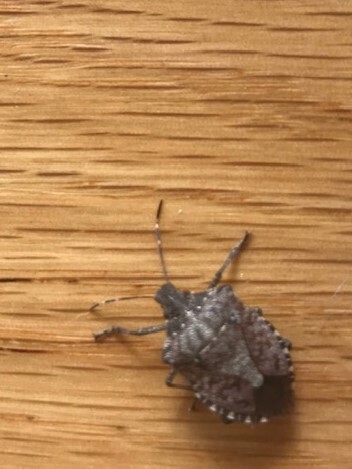 Stink bugs feed on fruits, vegetables, leaves, stems, ornamental plants and even weeds. They are an agricultural nightmare. Now this nightmare is hibernating in our home. They sneak in during the fall through soffits, windows, doors, attics and chimneys. There isn't enough caulk in the world to keep them out. They like to hide (I don't want to know where) and stay warm inside your home Often, out of boredom, they come out creeping along your walls, flutter in circles inside a lampshade or land on the arm of the sofa right where you are reading. Ugh. Unlike an elusive fly or mosquito, they lumber along in slow motion and are easy to pick up in a tissue and flush down the toilet. But do remember to flush. Once I didn't and it swam out of the tissue and crawled up the side of the toilet bowl. Another nightmare. Do not squish their bodies. If so, you will be overcome with a smell like coriander that gives them their descriptive name. So far, my personal best was nine in a day, but two were already dead, belly up on the windowsills. We've had debates about the humane way to get rid of them. Put them outside with temperatures 23 below zero to freeze in a slow and painful death? Throw them in the crackling fireplace? No, too violent, even for an insect. The toilet drowning method seems to be the most effective for all parties. I cringe to think they could survive in our septic tank. Maybe I have accomplished something after all. Policing our home from these pesky intruders. 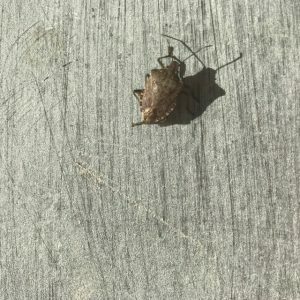 Soon it will be spring, windows will fling open and the stink bugs will depart to feast on your garden and lay their eggs to produce millions of nymphs. We will forget all about the threat of a "wintry mix," temperatures colder than Antarctica, salt ruining our cars and shoes and the inevitable stink bug invasion until next winter. If only they would eat dandelions instead of raspberries.